My mother and mother-in-law use St. John's Wort mainly for gastrointestinal disorders. As I research more about this herb I found that St. John's Wort and its therapeutic virtues are well known since ancient times. In the manuscripts of Galenus (one of the parents of pharmacy), which are kept in the archives of the Vatican, this herb is described as being useful in a wide variety of ailments. The most important active principle of St. John's Wort is a red-brown colored substance called Hypericine, which can be easily seen due to color, when preparing St. John's Wort tincture. St. John's Wort is one of the best herbs for depression. Studies conducted by German researchers found that St. John's Wort is more effective in treating depression than medication. Currently, natural products based on St. John's Wort are the most prescribed antidepressants in Germany and Western Europe, outpacing all synthesis competitors. Combined infusion You can use reliably St. John's Wort against depression. It is recommended a cup of combined infusion three times a day, in cures of 60-90 days, followed by 3-4 weeks of rest, after which treatment can be resumed. Tincture is used in treatments that favors emotional stability and diminishes panic or anger accesses. It recommended against depression, anxiety and restlessness states that occur around menopause, nerve diseases, neurosis, asthenia accompanied by insomnia, speech disorders, restless sleep, fits of hysteria, sleepwalking, urinary incontinence. Powder is used for stronger emotional disorders. Take a teaspoon approximately four hours apart during the day. You can take a teaspoon of powder on an empty stomach 4 times a day at 7 am, 1 pm, 7 pm and 10 pm (4 hours apart). 2. Wounds. St. John's Wort oil is a treasure in every home, and this is proved in my home also. It is the best oil for wounds and it has a soothing, anti-inflammatory and cicatrizant effect on wounds. It maintains its curative properties for 2 years and can be used in the anointing wounds, hematomas, ganglia and portions of tougher skin (eg the elbows or knees). For open wounds take a wash with St. John's Wort tincture and let the wound in the open air for the skin to cicatrize quickly. Do this 2 or 3 times a day. It will reduce the pain, prevent infection and accelerate the healing and scarring process. 3. Back pain, sciatica, rheumatism or lombago (low back pain) may disappear if massaged with St. John's Wort oil. 4. The oil massage will also help your baby’s colic. 5. For burns (including solar burns) of lower gravity you must first wash with a cotton swab moistened with St. John's Wort tincture. Immediately after the skin dries, apply St. John's Wort Oil in abundance. You can do this 2 or 3 times a day, taking care that, for 24 hours after using the oil, the skin shall not be exposed to sunlight. 6. Bruises treatment. To heal a bruise you can put a compress moisten in tincture on the affected area. The sensation of pain will be diminished and the injury will heal quickly and will be less evident in various stages of healing. 7. Herbs for eczema. For Atopic dermatitis put oil applications on the skin 3 times a day until fully healed. Several studies done in laboratory confirmed healing action of St. John's Wort in this disease. If other plants have just healing effects on the skin, St. John's Wort has a role in easing pain sensations, burning or itching skin. It is par excellence a calming herb and is extremely useful in reducing suffering, allergies and other skin disorders with strong itching and burning sensations. To combat skin itching and skin burning put 10 drops of peppermint essential oil in the ointment. The effect is exceptional. 9. Gallbladder problems. A tablespoon of St. John's Wort Oil taken on an empty stomach is useful in cases of lazy gallbladder, gallstones, and for headaches that occur in people who have bile problems. In cases of biliary dyskinesia, stimulating liver function, hyperacidity gastritis and gastric ulcer you will also find usefull St. John's Wort Oil Macerate. Take one teaspoon of this preparation after each meal. Another treatment of biliary dyskinesia, lazy gallbladder, chronic enterocolitis consists in drinking 2-3 cups of unsweetened St. John's Wort tea per day. 10. Gastritis treatment. In cases of gastritis caused by bile reflux in the stomach (bile gastritis) drink an unsweetened infusion of St. John's Wort flowers. Prepare an infusion from 1-2 tablespoons of minced dry plant in a cup (200 ml) of boiling water. Cover the cup and strain after 15-20 minutes. Drink 2-3 cups of infusion per day. This method of preparation is recommended for treatment of hyperacid gastritis, gastric ulcer, hepatitis, progressive chronic hepatitis, chronic colitis, cholecystitis. 11. Gingivitis treatment. Gargle with St. John's Wort Infusion in case of gingivitis, dental abscesses, thrush, wounds. Gargle many times a day, including one time in the evening before bedtime. You can also mixed it with plantain, in equal measure. 12. Use St. John's Wort Infusion for cataplasms (poultices) to treat neuralgia. St. John's Wort tea is used to heal trigeminal neuralgia provided you drink 2-3 cups of tea a day, and rub the affected area with St. John's Wort oil. 13. Food poisoning treatment and Diarrhea treatment. The first and most effective natural adjuvant in these cases is St. John's Wort Tea. Boil 6 teaspoons of dry herb in 1 l / 33.8 oz of water for 2 minutes and then leave to cool to room temperature. Drink the first liter / 33.8 oz mixed with 4 teaspoons of salt. It has the effect of triggering strong bouts of vomiting, extremely necessary for the disposal of any scrap of altered food. Drink the next liter of St. John's Wort tea only 6-12 hours after onset of diarrhea, which, in the first phase, has a beneficial effect because it eliminates all toxic materials from the body. If you drink the tea after this exhaust, St. John's Wort tea annihilates the remaining bacteria in the intestine because it contains tannins and stops diarrhea. 14. Growing girls are recommended 2 cups of St. John's Wort tea daily. It helps to regulate the development of genital organs and menstrual cycle. 15. The flowers are used in cosmetics for the stimulating and refreshing action they have on dry, aged skin. Put 3-4 tablespoons of minced St. John's Wort in 0.5 l / 16.9 oz of water. Let it soak for 8-10 hours, then filter. Put aside the strained extract and boil the plant left after filtration in another 0.5 l / 16.9 oz of water for 5 minutes, then let it cool and filter. Finally, mix the two extracts. You will obtain about 1 l / 33.8 oz of combined infusion of St. John's Wort, which is used internally (1-2 cups a day). St. John's Wort tincture is used both internally and externally. To make the tincture you need 2 hands of flowers. Put them in a large bottle with 1 l / 33.8 oz of 50 degrees alcohol. Leave the bottle for 3 weeks in the sun or near a heat source. Drink one teaspoon diluted in some water 4 times a day, according to your physician advice. Grind dry stems very fine with the electric coffee grinder, then sift with a fine sieve (like the one for white flour). Store the powder in sealed glass jars, in a dark and cold place, for a period of 15 days maximum (since active substances are oxidized relatively quickly). Gather flowers and put them in a bottle but don’t stuff them. Pour olive oil until the flowers are covered. Seal the bottle and leave it for a couple of weeks in the sun or near a heat source. When you notice that the liquid became reddish, strain through a fine gauze and squeeze the flowers, then put the oil in dark bottles. If you need the oil to treat burns you may use linseed oil instead of olive oil. Grind dried flowers with the electric coffee grinder. Place 4 tablespoons of minced flowers in a pot and pour hot butter (a 250 g / 8.8 oz package). Mix well until the composition cools and leave it for 7-8 hours. Place the pot over low heat until it regains its liquid consistency, then filter it through gauze. Keep the reddish ointment in the refrigerator. Take 20 g / 0.7 oz of well minced herb and moisten it with 20 ml / 0.7 oz of at least 70% alcohol for 12 hours. Add 200 ml / 6.8 oz of sunflower oil. Heat on steam for 3 hours, stirring occasionally. Leave the mix to soak for 2-3 days, then filter it in dark bottles. Seal the bottles and and store them in a cool place. First contraindication to this herb is for those who take synthesis drugs against depression and anxiety, for insomnia, for epilepsy, HIV infections. There is the possibility to have an allergy to this plant, which is why you started to get St. John's Wort in small doses (a tenth the normal dose), increasing gradually to the prescribed amount. St. John's Wort allergy is manifested by rash, pain or sensation of gastrointestinal discomfort. Given that millions of St. John's Wort users already exist, adverse effects of this plant are well known. The percentage of those who have such reactions is very low (below 5% in St. John's Wort, 31% to allopathic medicine). The most common is excessive sensitivity to light (photosensitivity), especially to sunlight, which can cause skin burns, eye discomfort, headache. Therefore, people who are treated with St. John's Wort will not be exposed to the sun between 11 am and 18. Other possible adverse effects of internal and external treatment are dry mouth, skin irritation, rash and temporary skin itching, temporary dizziness, mild headaches, sleep disturbances, gastrointestinal disorders, neuralgia and other symptoms. St. John's Wort is not addictive, and studies show that its effects remain in a considerable amount of time after cessation of treatment. 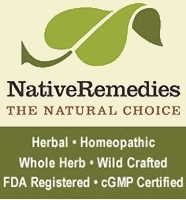 Order organic St John's Wort from MountainRoseHerbs.